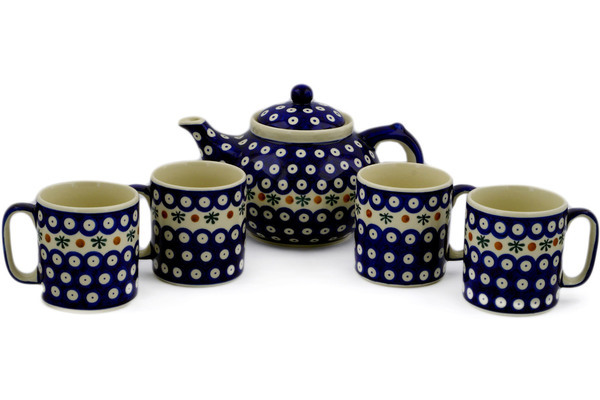 This Polish Pottery tea or coffee set for four (item number H9993J) is made by Cer-Maz factory in Boleslawiec, Poland. 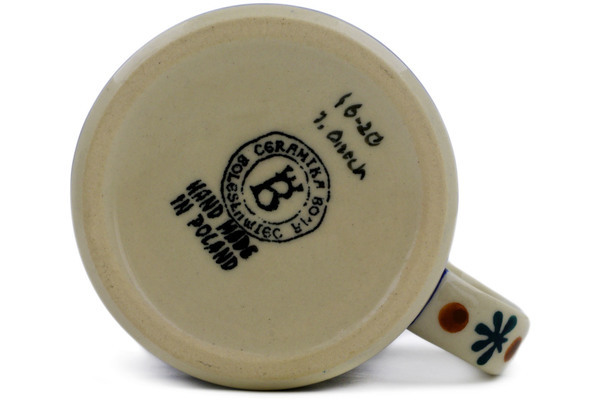 It is 6.3" high and measures 6.3" by 10". It holds 52 ounces of fluid. 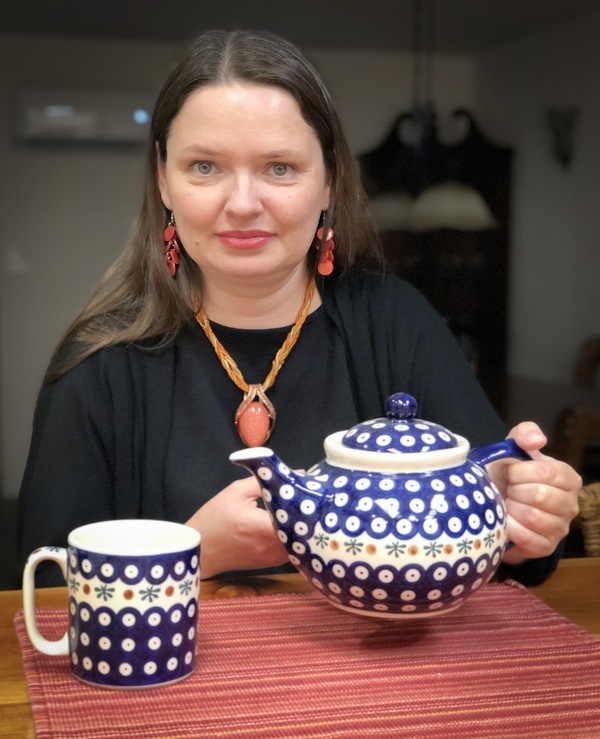 The weight of this tea or coffee set for four is 2.84 lbs. 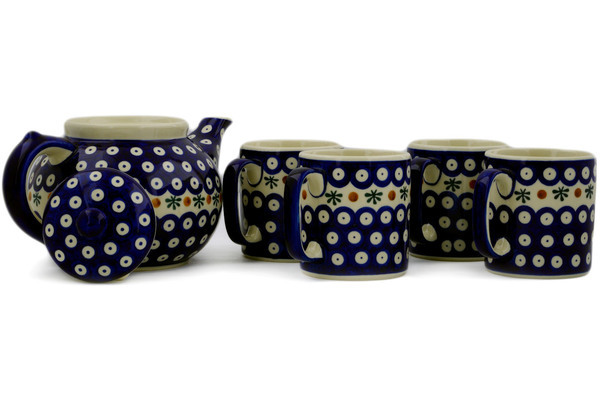 The suggested retail price is $163.67 but you can save 50% by buying it today for $81.84. In addition if your total is over $99 you will get FREE SHIPPING. 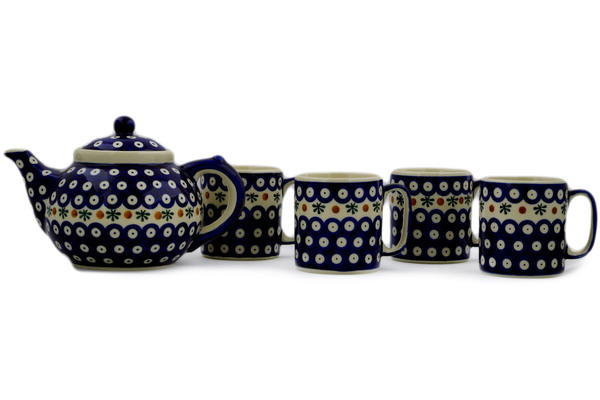 We currently have 12+ pcs of this Polish Pottery tea or coffee set for four available from our Texas warehouse. If you order it today, we will ship it within 2 business days. Please check our Delivery Time Map for ground shipments to get an idea about how many days it will take for the package to reach your address. If you need larger quantity than what we have in stock, we can special order the remaining quantity.